– 6 Months Diploma in Whistle Blowing (DWB): This crash-course programme will equip you with the ability to spot suspected houses where stolen funds are kept. With this degree, you will be able to spot Naira stashes kept behind walls. – 3 Years Bachelor of Science (B.Sc) Degree in Whistle Blowing: Smart people don’t keep stolen funds in Naira. So why should you go about looking for Naira loot? This programme equips you with the aided ability to spot all looted foreign currencies. – 18 Months M.Sc Degree in Whistle Blowing: The looters have become masters, and that is why you also need to be a master at whistle blowing. 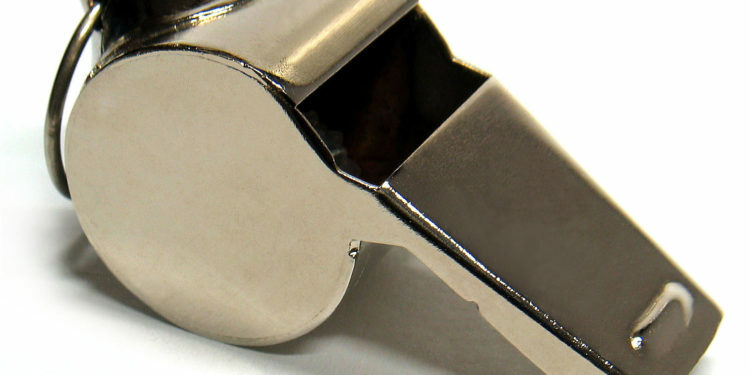 Take your whistle-blowing ability to the next level with our M.Sc. Spot looted local and foreign currencies in Houses (Mud or Modern) Safes (Fire or Water proof), Wells (Wet or Dry) Caskets (Cemetery or Burial Ground). – 3 Years Doctor of Philosophy in Whistle Blowing: Looters understand the importance of leaving no trails, and have now employed digital currencies in looting. With this degree, you will be able to decipher owners of bitcoin wallets with looted funds. You don’t even have to leave your house scouting for houses like a real estate agent, or burial grounds like an undertaker. Simply sit behind a computer like a Yahoo Yahoo boy and earn whistle blowing $$$ easily.